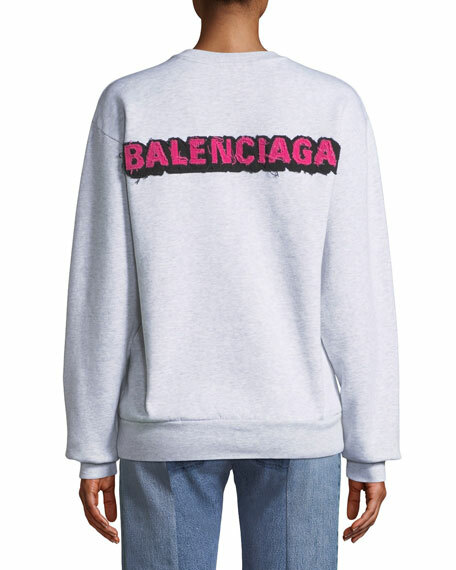 Balenciaga sweatshirt with brushed felt logo at back. Alo Yoga sweatshirt with "Air Land Ocean" print on hem. Crew neckline. Dropped shoulders. Long sleeves. Boxy fit. Pullover style. Cropped length. Modal/cotton. Imported. 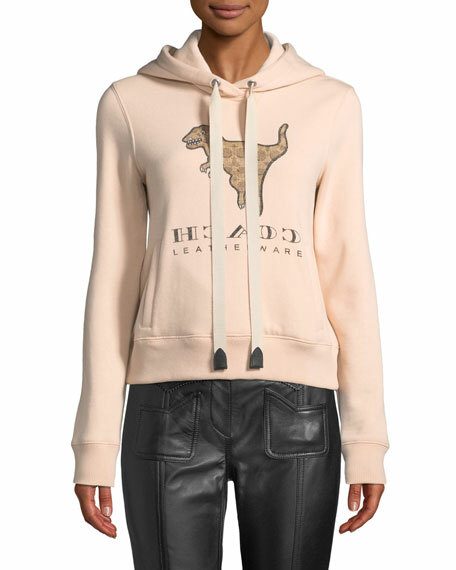 Coach sweatshirt featuring signature T-rex logo. Hooded neckline; drawstrings with leather tabs. Long sleeves; ribbed cuffs. Side slip pockets. Relaxed fit. Ribbed hem. Pullover style. Cotton/polyester. Made in Peru. 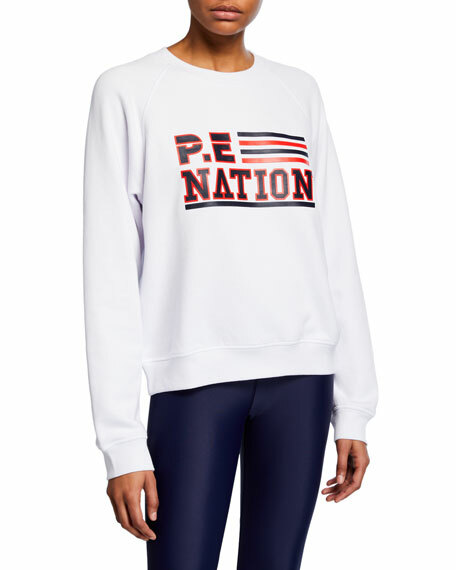 PE Nation "Blacktop" French terry sweatshirt with raised rubber logo print. Ribbed neck, cuffs, and hem. Crew neckline. Long raglan sleeves. Relaxed fit. Pullover style. Viscose/nylon/spandex. Imported. 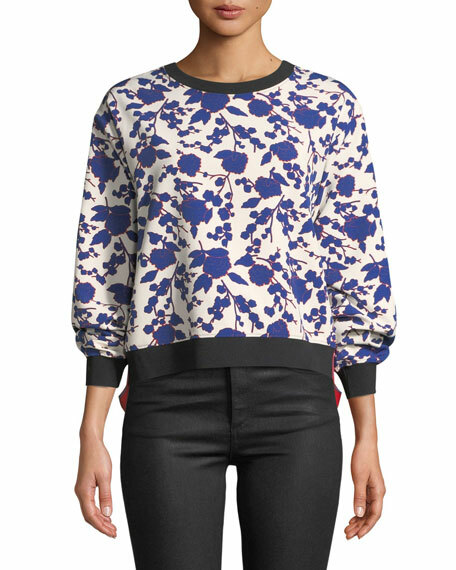 PINKO floral-print sweatshirt with contrast side panels. 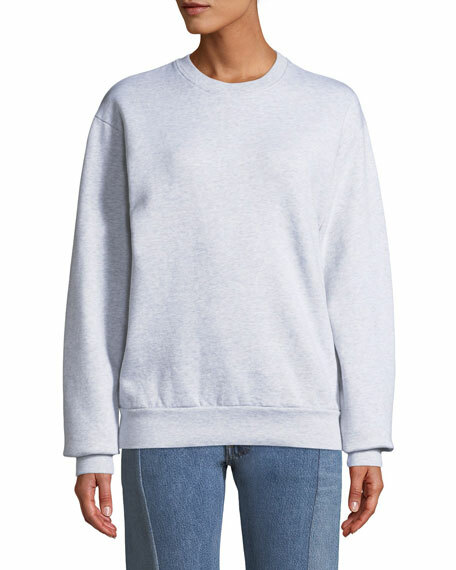 Contrast rib-knit neck, cuffs, and hem. Crew neckline. Long sleeves. Relaxed fit. Cropped hem. Looped details at sides. Pullover style. Polyester/spandex. Dry clean. Imported.